The right tires not only help contribute to your vehicle's handling and performance, but can also impact fuel efficiency and safety as well. If your tires are showing signs of wear, you can get exact replacements for the original tires at a competitive price at Wilde Toyota Service Center. Our factory trained and certified Toyota technicians will ensure that your tires are mounted, balanced and inflated to match your Toyota vehicle's specifications. 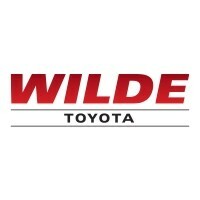 Keep your Toyota a Toyota by replacing your original tires at Wilde Toyota Service Center conveniently located in West Allis. With any service. Only valid on Toyota and Scion vehicles at Wilde Toyota. All coupons must be presented at time of write-up. Any fluids or repairs extra. Dealer not responsible for typos or omissions. Expires 4/30/19. WE WILL MEET OR BEAT ANY OTHER LOCAL COMPETITOR'S TIRE PRICE! *Valid on Toyota and Scion vehicles only at Wilde Toyota. Available for dealer-installed identical in-stock tires that meet vehicle specifications. Customer must present a printed lower-priced pre-tax price quote dated within 30 days of purchase from a retail location within 25 miles. Not valid with any other offer, discounts or rebates. Dealer not responsible for typos or omissions. Expires 4/30/19. Please ask a service advisor for additional rebates. Valid on Toyota and Scion vehicles only at Wilde Toyota. Please ask a service advisor for additional rebates. Available for dealer-installed identical in-stock tires that meet vehicle specifications. Customer must present a printed lower-priced pre-tax price quote dated within 30 days of purchase from a retail location within 25 miles. Not valid with any other offer, discounts or rebates. Dealer not responsible for typos or omissions. Expires 4/30/19.